Triple Point – Pauline Oliveros, Doug Van Nort, Jonas Braasch – was an improvising trio whose core instrumentation was soprano saxophone, greis/electronics and V-accordion. The name refers to the point of equilibrium on a phase plot, which acted as metaphor for our improvisational dialogue. Our musical interaction was centered around an interplay between acoustics, physically-modeled acoustics (v-accordion) and electronics. Van Nort captured the sound of the other players on-the-fly, either transforming these in the moment to create blended textures or new sonic gestures, or holding them for return in the near future. Oliveros changed between timbres and “bended” the intended factory sound models through her idiosyncratic use of the virtual instrument, while Braasch explored extended techniques including long circular-breathing tones and multiphonics. This mode of interaction has resulted in situations where acoustic/electronic sources are indistinguishable without very careful listening, while others times this becomes wildly apparent. This continual, fluid morphing is a product of Deep Listening and living in the moment. “phase/transitions”, a 3-CD set of unedited live improvisation ranging from 2008-2012, was released by Pogus Productions in September 2014. The release features Chris Chafe as a special guest on six tracks. The trio collaborated on the composition/improvisation project “Quartet for the end of Space” with Francisco López in 2010/2011, also available on Pogus. In 2009, Triple Point released “Sound Shadows” on the Deep Listening label, which documents a quartet improvisation with Stuart Dempster. 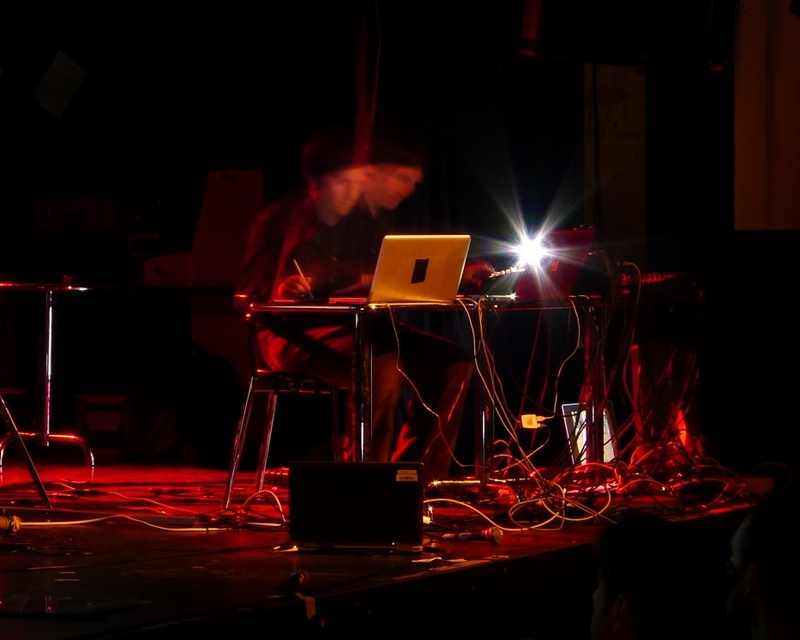 The trio performed together countless time since their inception in 2008, in a variety of festivals and galleries, over the internet with the trio dispersed around the globe, and in experimental exploration of electroacoustic technologies such as machine improvising partners (Van Nort’s FILTER system), automated conducting systems and immersive spatial sound environments based on acoustic modeling of unique spaces.